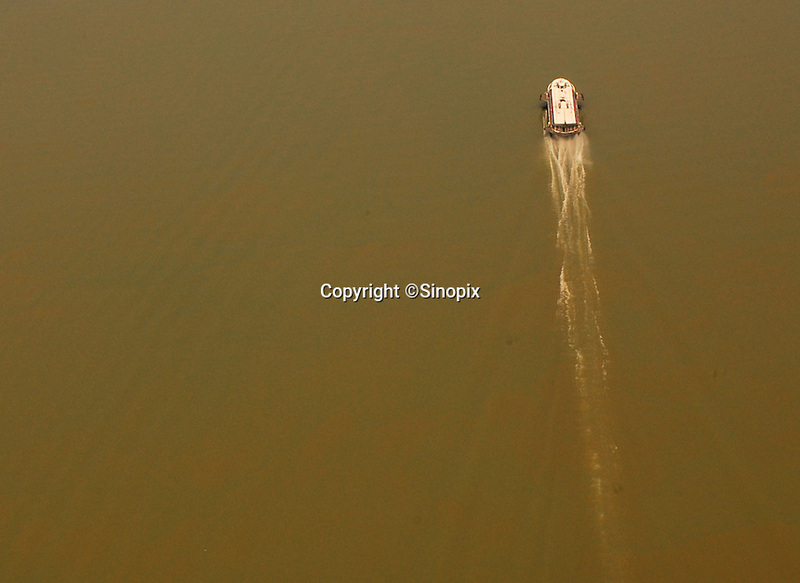 A hydrofoil on the "ribbon lake" of the Yangtze River in China. The construction of the Three Gorges Dam and rise in water level of around 100 meters, creating a narrow lake 450 km in length and has resulted in the relocation of around 1.5 million people. The Dam has opened up central China, with ocean going vessels able to travel as far as Chongqing, and is transforming the economy..